One of the great ironies of the last few years has been the explosion in popularity of the animated GIF. Just as browsers were finally starting to embrace cutting-edge technologies like WebRTC, WebSockets and WebGL, a technology first supported by Netscape 2.0 in 1995 completely took over cultural landscape on internet. You can’t read a sports blog, a tweet or even go to a technology conference without running into the humble animated GIF. 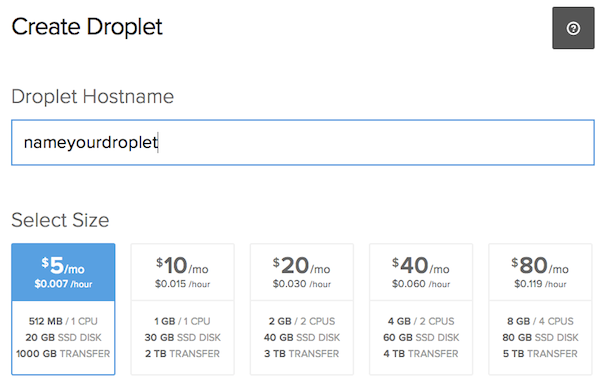 For the purposes of this blog post I’m going to use a Digital Ocean droplet to power this service. If you already have an Ubuntu VPS with Node.js installed you can skip ahead to Step 2. Create a Digital Ocean account and get a free $10 credit with the code twilio10. 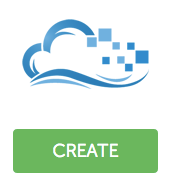 Once you’re logged in click on the “Create” button to spin-up a new droplet (this is what they call a VPS). Give your droplet a name and select the smallest plan. 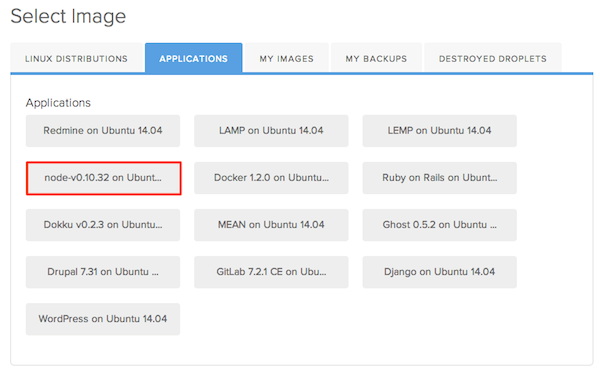 Scroll down and under the “Select Image” section click on “Applications” and then choose the Node/Ubuntu image. This will spare you from having to manually install Node on your new droplet. Finally, click on “Create Droplet”. Once your droplet is up and running the root password will be emailed to you. Libav is a set of programs for processing video and you’re going to use the program avconv to pluck frames out of the video you receive from Twilio. Make sure that it’s working on your system as it should by creating an animated GIF from a video. Here you are passing in a video in the 3gp format. If you’re curious what video formats that avconv supports on your system just run avconv -formats. The last parameter to the command tells avconv what to name the output files. The “%03d” is a special mask that avconv will use to number each of the files starting at 1. If all goes well you should end up with 48 (or less) jpeg files in the tmp directory. You should now have an animated GIF named bouncing.gif in your directory. Take a look at that GIF in your browser using Node. Now that your system can successfully convert videos into animated GIFs, it’s time to add some logic to your Node application to accept video content from Twilio, orchestrate its conversion and return the animated GIF. Add the following modules to your project. I’ll discuss what these modules do as you build out your service. The url module is built-in to Node and will give you an easy way to get information about each web request to your Node application. You might ask why I’m not using a framework like Express or Hapi to build this application. The answer is that this application handles only two kinds of requests and doesn’t do anything fancy with the inputs or outputs. I felt like this was a good opportunity to keep things close to the metal. Modify your HTTP server code to parse the incoming request and invoke the handleMessage function when the path is /message . In the handleMessage function, you need to determine if the media you’ve been sent is indeed a video. If so, send the user a message that their video has been queued and will be processed shortly. If not, send them a message letting them know that they need to attach a proper video file. Now that you have a URL to a video file you can create a function called processVideo to handle the conversion of this file into an animated GIF. Download the video to the local filesystem. Call avconv to convert this video file into frames. Call convert to stitch these frames into an animated GIF. Send a message to the user with a pointer to this hosted GIF. Since there will be files created during this process (some of them being temporary and subject to later deletion) you can use the node-uuid module to create a practically unique prefix for these files. The os.tmpdir function returns the operating system’s temporary directory which should be available for you to create and delete files in. The request module helps you fetch this URL and save it to the temporary directory with the filename of the generated UUID. When the download is finished its time to kick off the processing of the video. There are two ways in Node to start a child process: exec and spawn . The main difference between the two is that exec buffers output from the child process and returns it in its entirety and spawn streams output from the child process as it comes back. Since you aren’t interested in the output (stdout, stderr, etc) of the process you can simply use exec. Exec takes a string that represents the operating system command that Node will execute. This command will be identical to what you executed manually earlier. The util module helps to format the command string with variables representing the operating system’s temporary directory, the UUID and the current directory of the Node process. Notice that you are chaining 3 processes together using the && shell operator. This has the effect of only executing subsequent commands if the previous command executed without error. The second argument to exec is a callback. If any of the processes returned an error, send the user an SMS apologizing for the error. If there was no error, you can write a sendGif function to send an MMS to the user that includes the generated animated GIF. In order to send an MMS back to the user you must construct a fully qualified URL to the animated GIF. Twilio will fetch the animated GIF from this location in order to construct the MMS that it delivers to the user. This is easy to do using the host information included in the request headers and the UUID you generated. Whether the exec process succeeded or not, make sure to clean-up all of the temporary generated files. The glob module makes it easy to get all of the files in a directory that match a given mask. Save the index.js file. Now it’s time to wire this app to your MMS-capable Twilio number and take this app for a test drive! The TWILIO_CALLER_ID should be set to same number you’ll be using to receive messages on. Now, start the Node process: node . Go to your Twilio account dashboard and click on the number you are going to use. Update the Messaging Request URL to point at your VPS on port 3000 with a path of /message . Make sure to select HTTP GET , your code is expecting GET parameters to be passed. Click “Save”. The moment of truth. 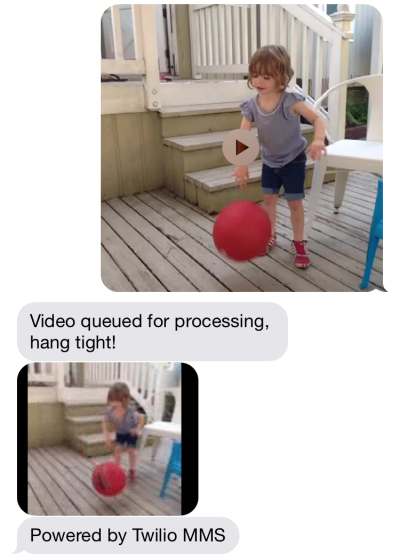 Send a short video (6 seconds or less) to your Twilio number. You should get an immediate response that your request has been queued, followed by a response that includes the newly minted animated GIF. Using a job queue (like Bull) to handle the orderly processing of conversion jobs. This is important because the programs doing the conversion (acconv and convert) are CPU-bound and will quickly soak up system memory and resources. Configuring your server to run Node as a daemon and start the process on boot. Hope you enjoyed this tutorial, happy hacking!